One 2 minute DIY-project in my new Seattle apartment is my Ikea Fintorp Rail. 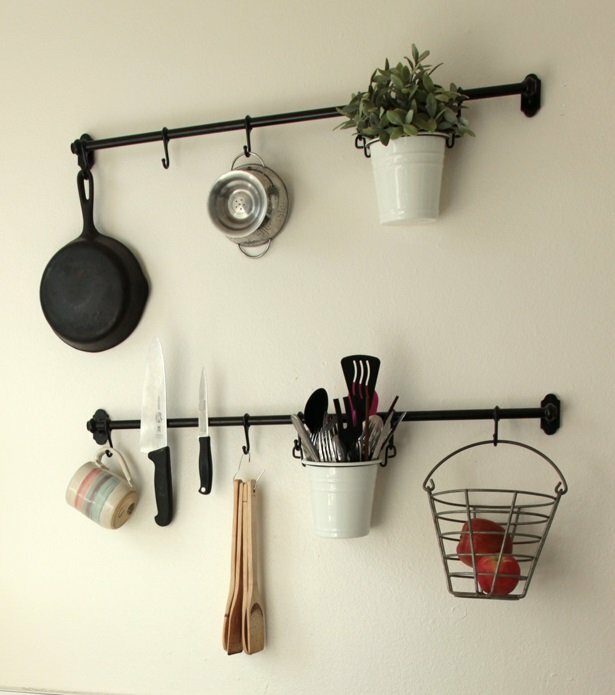 Originally purchased as a pot rack, I realize that by using small Neodymium Magnets I could convert the metal rail into a secure storage spot for my favorite kitchen knives. 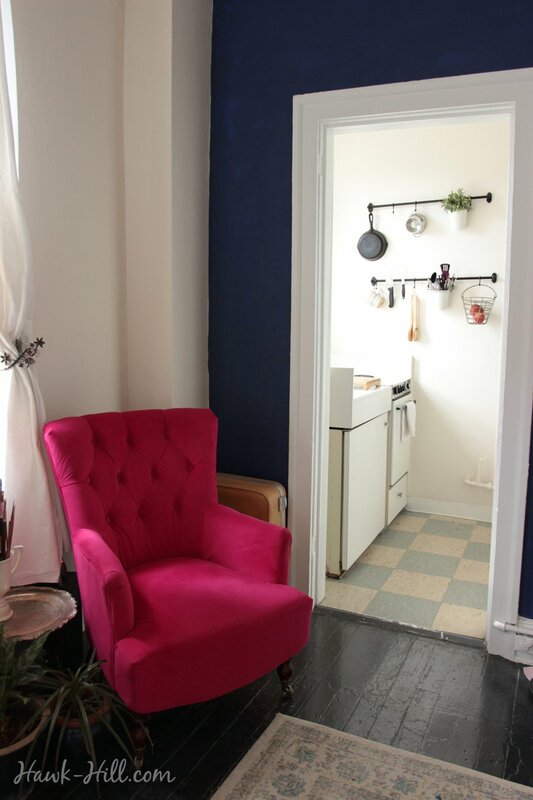 Since I live in the urban-rental equivalent of a tiny house (see photos of my 280 sq foot setup here) every bit of space-saving trickery helps to free up counter space! 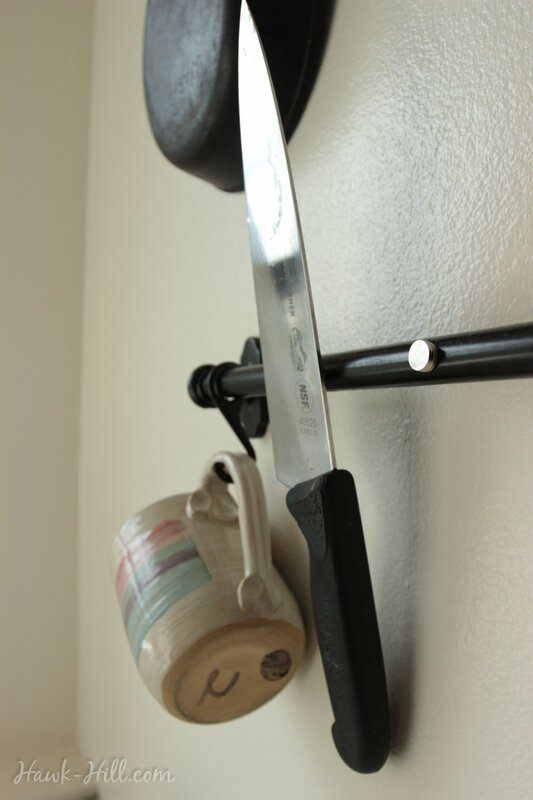 Chef’s knife invisibly held securely to an Ikea Fintorp rail using rare earth magnets. When I moved to Seattle, I brought almost nothing, but when I went home for my first break I mailed myself a few boxes of items I couldn’t live without. The box included: Neodymium Magnets (SUPER, super strong little magnets that can hold a significant amount of weight) and my Victorinox Chef’s Knife (incidentally, not a fun item to figure out how to pack!). I’m no chef, but I definitely have a chef/knife level affection for this knife that has been my go-to knife for years. Turning my Fintorp rail into a knife rack involved only adding a neodymium magnet to the rail and attaching any of my knifes- even the chef’s knife! 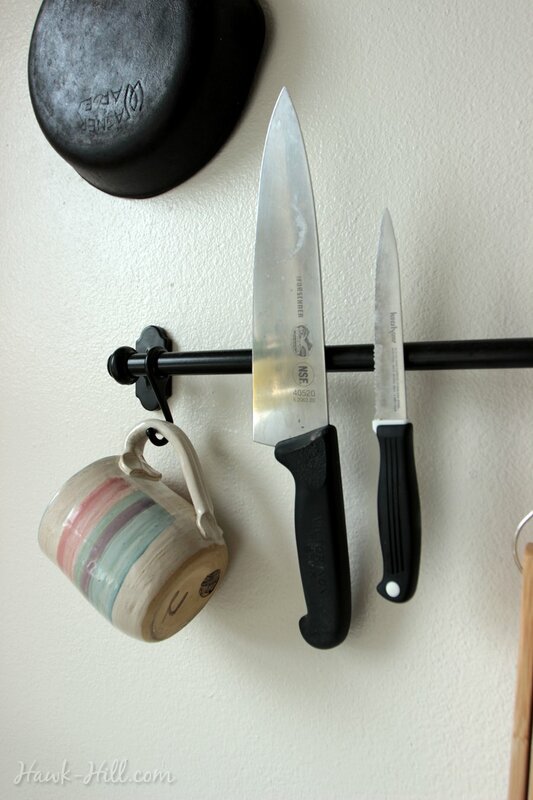 Normal magnets wouldn’t get the job done but now that these rare earth magnets are cheap and easy to purchase, this project is a cheap, two-minute way to save time space and store knives in a place they won’t fall over or poke while you are fumbling in a drawer. With one of the knives removed, you can see that the anchors that hold the knives are small magnets. [NOTE: this project is NOT suitable for households where young children play, as loose magnets can be extremely dangerous for kids, however a very similar project can be done by using magnets designed to be held in place with screws and attaching them to a vintage piece of wood, (perhaps paired with some vintage hooks for hanging mugs or pots). Mount your rack out of reach of children, be sure your magnets are large enough to securely hold your knives, and enjoy your new freed up counter space. 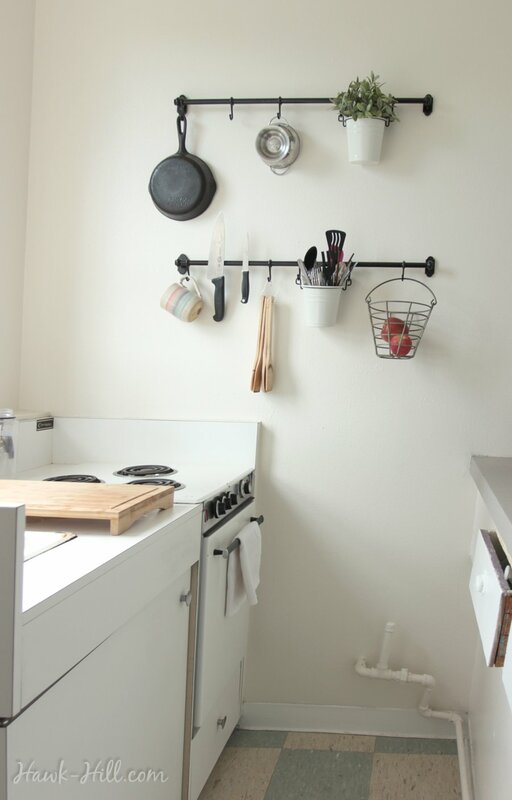 The kitchen in my 280 square foot apartment in downtown Seattle includes a Fintorp rail serving multiple purposes: pot rack, knife rack, utensil holder, and produce storage.